If you’re like me and are looking to boost your God complex, The Universim, developed and published by Crytivo Games, could be the game for you. 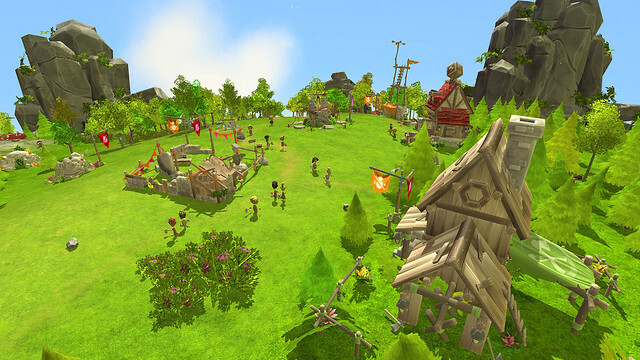 The Universim is a God sim, allowing you, the Lord Almighty, the chance to watch, help and sometimes punish your loyal followers, also known as nuggets, into expanding, growing and evolving their civilization. To begin, lead your followers through the Stone Age, and build all those important structures that are needed to move forward and evolve. During game play your followers must research different tech trees to advance, and these are on a fixed timer. This did get a bit annoying as I was speeding up other game time, meanwhile timer on research remained the same. I felt the game was a little slow due to this, however the game had already pulled me to the point I didn’t notice I had sat and done nothing for ten minutes. My demo only took me to the end of the Stone Age, but I presume you would grow, like most games, up to space and beyond. 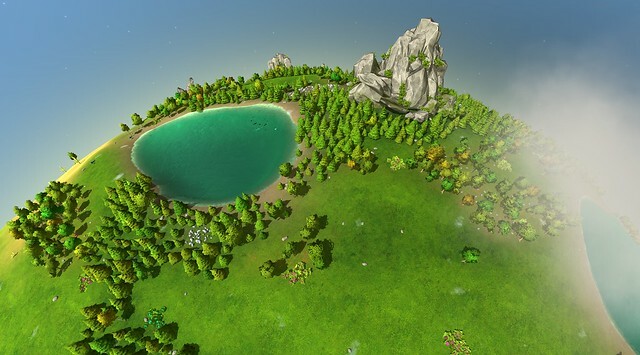 While you spin your way around the planet in The Universim, you build various structures to help the nuggets expand, and support the wildlife and greenery which makes for a beautiful, decent-sized planet to manage. Do not forget to zoom in on the buildings and nuggets. I spent a lot of time up high in the sky to get a good overview of the land and villages, but when I zoomed in it was great to see the detail that has gone in to each building. This game is full of funny one-liners, from when a nugget is born to their unfortunate death, and rocking shacks when increasing numbers should give players a little chuckle. Graphically, its beautiful but simple, offering a real cuteness to the planet’s animals, buildings, and nuggets. The weather effects are great, restricting your view from on high when the fog comes in, making it feel real. The game played smooth and controls were quick to learn, which made life easy. The nuggets will grow and build their own houses, rather than you needing to build them all, but the downside to that is they pick where they want to place them. Be prepared for their new buildings to sometimes get in the way. The game sounds and soundtrack provided a relaxing ambiance while managing your planet, which really helped while you had to wait for new tech. The Universim is a fun God sim set in a stunning world, giving the player plenty to do and see while adding a little humour to brighten up those research times. Like many games of this type, I always feel you can go back to it and play again, if, like me, you love putting the time in to see your creations flourish. While only a small amount could be accomplished in this demo, it made me want to see more and look forward to further updates to see how far I can take the civilization I helped shape and grow.